Could Owning a Franchise Be Right for You? Professional painters can operate their business either as an independent owner or as the owner of a franchise location. Sometimes deciding which approach is best can be challenging, because there are rewards and drawbacks to both options. 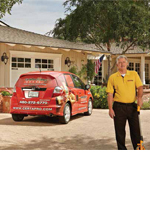 Franchising can be the right choice for many painting professionals. Keeping in mind that the vast percentage of painters aren’t affiliated with one of the more than half-dozen painting franchise companies around the country, it’s also true that hundreds of small-business owners have decided that buying a franchise is an optimal arrangement. Randy and Irma Bressler of Gilbert, Arizona in suburban Phoenix, also decided to buy a franchise. Though neither is a professional painter, they were looking for a business to own and operate after spending years in the corporate world as employees. Between the two of them, they had diverse backgrounds in management. Randy had worked in newspaper advertising sales and Irma had worked in IT client support. “We felt like we couldn’t come up with a concept that blended our skills very well,” Irma said. “That’s why we turned to franchising.” They considered window cleaning, fire and water damage restoration, and home health as options, but ultimately concluded that residential and commercial painting was a good fit for them. Now, more than two years into their franchising arrangement with CertaPro Painters, the nation’s largest painting franchiser, they couldn’t be happier. HOW DOES FRANCHISE OWNERSHIP WORK FOR PROFESSIONAL PAINTING CONTRACTORS? 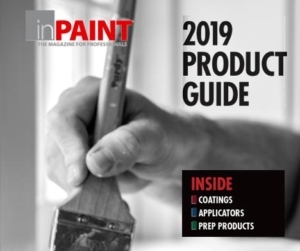 “We give owners a comprehensive business strategy for success that lets them take their business to the next level,” said Bernie Brozek, president of Fresh Coat Painters, which is headquartered in Cincinnati, Ohio. Franchise owners can build Fresh Coat’s volume discounts on paint costs into estimates for their customers, Brozek said, adding that all franchise owners use the company’s cloud-based software to help run their businesses. Fresh Coat has 111 franchisees in 30 states and one in Canada, he said. WHAT ARE THE ADVANTAGES OF BUYING AND OWNING A FRANCHISE? The support and camaraderie of fellow franchisees affiliated with the same company is a key advantage, Brozek said. Because franchisees don’t compete with one another, they can seek support from each other and problem-solve together, if necessary. Each franchise within a company is typically assigned a zone or territory so that competition among franchisees is eliminated, Brozek said. Most painting franchise companies help franchise owners with marketing their business, generating leads, finding qualified painters, preparing project estimates, and spending less money on paint and supplies. “Franchising companies have a system that’s been proven to work over the years,” Flick said. “If you follow our marketing program, you’ll successfully grow your business.” Franchisees put an estimate together on an iPad or other tablet and print it for the customer right in the franchisee’s vehicle. “It’s much more professional looking,” he said, “than an estimate scribbled on the back of a business card. If you’ve ever thought about buying a franchise, you’ve probably wondered about the costs involved. Among the more than half-dozen painting franchise companies in the U.S., the franchise fee (what you pay initially to purchase the business), the royalty (the percentage of your annual revenues you pay to the franchiser), and the minimum monthly royalty can vary widely. Fresh Coat Painters charges $39,900. Flick’s company, 360° Painting, charges as little as $10,000 if the franchise owner already has an existing painting business. “We reduce our franchise fee to get you into the system,” said Flick, whose company charges a 6% royalty on annual revenues with a minimum royalty of $400 per month. Fresh Coat Painters also charges a 6% royalty on annual revenues with a $300 monthly minimum, Brozek said. CertaPro Painters’ current franchise fee is $52,500. Franchisees pay a monthly 5% royalty to the company and contribute 3% into a national advertising fund. Most painting franchise companies ask for a 10-year signed agreement, Flick and Brozek said, and most ask that you sign a non-compete clause in the event you terminate the contract early, meaning you can’t reopen your independent contracting business for a period of time. Fresh Coat Painters, for example, requires a two-year noncompete agreement. Most of the painting franchise companies are as careful about selecting their franchisees as the prospective owners are about choosing them. The four- to six-week process starts with educating yourself, Flick said. “Our web site has plenty of information about the industry, videos and testimonials,” he said. “So the process begins with learning about the industry and about the opportunity to buy a franchise.” Someone interested would submit a request for additional information, he said, and that prospective franchisee would be encouraged to thoroughly review information sent to them upon their request. The prospect also receives an email with a brochure and newsletter attached and, at the prospect’s request, a phone call will be arranged so that questions can be answered, Flick said. Then, the prospect might attend an online webinar where the built-in training, support and tools used (estimating software and other software platforms, for example) are further explained. Next, a ‘mutual discovery day’ is held, where the prospect travels to the company’s headquarters and franchise disclosure documents (these are federally required and are known as FDDs) are presented and signed if both parties believe it will be a good fit for the prospect to become an owner. “We guide the franchisee through everything, before and after the purchase of a franchise,” Brozek said. Even with all the guidance, a franchise isn’t right for everyone. Some Pros simply don’t want to give up the time with the brush or roller. Others don’t feel the pay structure, including the initial fee and annual royalty, works to their advantage. However, franchise organizations argue that the structure, business tools, etc. they offer help business owners appreciate savings—and profit—they might be missing on their own.